The GST Council is expected to revise rates on 83 items and services in a meeting scheduled on 25 Thursday 2018. The GST Council, headed by Finance Minister Arun Jaitley and having state finance ministers as members, is also expected to simplify the process of registration, returns filing and claiming input tax credit (ITC) under the new indirect tax regime. In this meeting, the Council is expected to revise rates of about 25 goods and another 45-55 service. Total 70-80 items’ rates could be revised downward, an official, who is part of the rate fitment committee. Rates of 5-6 irrigation equipment are likely to be lowered from 18 to 12 percent. Rates of bio-diesel and electric buses are likely to be slashed from 28 to 18 percent, official sources said. In a bid to make it easier to file returns under the new tax regime, the GST Council is also expected to discuss the recommendations of the Law Review Committee. Several changes in the law have been suggested by the Law Review Committee. These changes would ensure easing the compliance burden of the taxpayers and in turn improve the collections under GST, an official said. The GST Council is expected to discuss the recommendations of the panel to allow single registration for large service providers who have a turnover of over Rs. 5 crores and are present in 10 states or more, like airlines and banks. The Council is also expected to merge forms GSTR-1, GSTR-2 and GSTR-3 into a single form. Currently, traders have to file three returns every month. This is going to be reduced to a single filing every month. The simplification process might take about 6-8 months as changes will have to be done to the software. The new format will have to be put in place so until that time extensions will be given for filings through GSTR-3B,” an official involved in the process said. The Council is expected to accept the suggestions to ease the compliance burden to ensure better collections under GST. Revenue collections under GST have declined by almost 14 percent from Rs. 94,063 crore in July (GST was rolled out in July 2017) to Rs. 80,808 crore in November. Legislative changes are likely to be made to the procedure to claim input tax credit under GST. Traders, businesses have shared their pain points with us. We have reviewed these and we are now trying to remove most of these irritants. This meeting of the Council will try to address as many of these issues as is possible,” a third official source said, adding, “We will bring in a bill that will be introduced in the Budget Session of Parliament to make the amendments to the law. The states will also make the necessary changes to the state laws and get the approval of the state Assemblies. Changes in the law will also be made to increase the threshold limit for the composition scheme to Rs. 2 crores. Currently, the composition scheme is available to traders with a turnover of up to Rs. 1.5 crore. Proposals to bring natural gas, airline turbine fuel (ATF) and sale of land under GST will also be on the agenda. 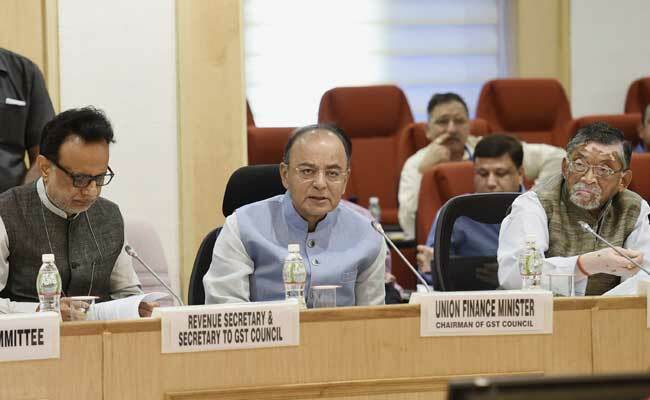 The GST Council meeting comes days ahead of the Union Budget scheduled to be presented on February 1.